Tap Dance Is So Cool! 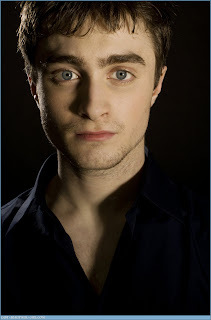 Now that is a direct qoute from the awesome Mr. Danile Radcliffe! At the premiere of Harry Potter and the Half Blood Prince, he revealed that he's also taking Tap classes and wants to be back on Broadway in a musical in 2 years. He's a hoofer! Or at least working on it.........clearly he just climbed up the cool theatre dude meter in my book. Read about it here.